Last updated: February 28, 2017 by Rootwell Products Inc.
One question we hear most often is, “When is the best time to plant trees?” The answer might surprise you. When is the Best Time to Plant Trees? The short answer is: it depends. A majority of people will say spring is the best season. 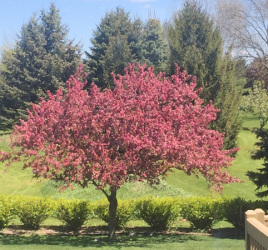 This tends to be the popular time of year because it is when people begin to focus on their yard and landscape after the winter time. However, many people will argue that the fall is actually the best time to plant trees. 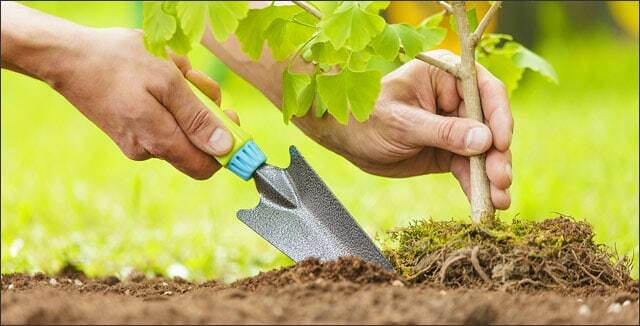 Let’s take closer look at the optimal time to plant your trees and what you should know. Trees need a few key things to survive. They need sunlight, water, and soil. Watching the schedule of a landscaper, you will notice they will plant trees almost any time of year expect the dead of winter. 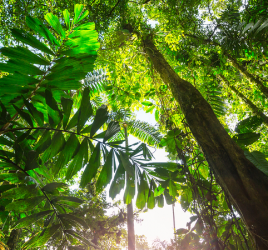 Trees have proven to survive being planted in not the most optimal times. Even in the dead of summer, trees and shrubs have bounced back. Trees do thrive when they are planted in the spring. One huge benefit to planting trees in the spring is that nurseries have the biggest selection of trees that time of year. Another reason the spring is a great time to plant trees is because they have time to develop tree roots. While we see what is happening above ground, what happens underground is vital for tree growth. For trees to thrive, they need to have a root system established. When trees are planted in the spring, they have the time they need to develop new roots and develop a deep root system that is required for them to survive the winter. Once trees are planted, they have two main jobs: grow leaves to make food for the plant throughout the summer and grow roots. For trees to accomplish both of these jobs well, they need a lot of energy and water. Without an established root system, trees will have a hard time absorbing enough water through their roots to support the growth of leaves. That is why you might see trees lose all their leaves after planting. While the spring might be a popular time to plant trees, many experts claim that the fall is a better time to plant trees. 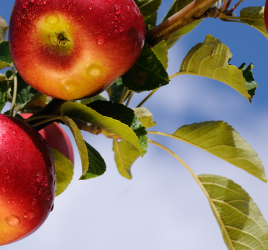 One reason this is the case is because in the fall the trees do not have to focus on both creating food through their leaves and a developing a root system. In the fall trees can focus their energy on one job: developing new roots. Due to this focused growth, trees do not need nearly as much water in the fall as they do in the spring. The second key benefit to planting trees in the fall is the temperature in the fall is ideal for root growth. Roots like cool weather. A third benefit to planting in the fall is the price of trees. If your budget is a concern, planting in the fall will be a great option. While plant availability might be a fear, many nurseries have plenty of tree options and will often have them at a discounted price. The fear of planting in the fall is the inability for the tree to have time to create a root system before the winter frost hits. When trees have been poorly tended to before purchasing and planting, this can impact their survival rate. Another problem with planting in the fall is that trees need to be taken care which includes receiving adequate water up until the ground freezes. If watering in the fall is a problem for you, the fall will not be a good option. Another potential problem for growing trees in the fall is related to the zone they are growing in. Should You Plant Trees in Spring or Fall? With awareness and care, a tree can thrive being planted in either the spring or fall. Taking into account your climate zone, budget, and tree availability will help to you make a decision that is best for you. To ensure that your trees thrive in whatever season you choose, consider using a Rootwell Pro-318 Deep Root System. This is a great choice to help ensure deep and healthy tree roots which are essential for growth. The Rootwell Pro-318 is an innovative and one-of-a-kind product that creates a pathway deep into the root system allowing air and water to go deep into the root-zone. This direct-to-root system has been engineered to permanently enhance trees natural ability to absorb oxygen, water, and nutrients. 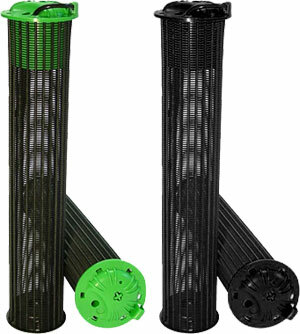 The cylinder patented designed gives a 360-degree distribution of air, water, and nutrients throughout the root zone. Root growth needs an essential bacteria called micrizeal. The Rootwell Pro-318 constantly circulates air into the root-zone and extracts root inhibiting methane gases. This process allows for the bacteria, micrizaeal, to thrive which allows the roots to propagate rapidly. The Rootwell Pro-318 is an essential tool to help ensure the lives of your trees. No matter what season you choose to plant your trees: spring or fall, making sure your trees have adequate water, sunlight, and healthy soil is essential. By being aware of your climate zone, budget, and watering options, you can help your trees flourish in either spring or fall. Adding Rootwell’s Pro-318 Deep Root System will ensure your newly planted trees do not just survive, but thrive.